We tend to think of missionaries as solitary heroes and trailblazers, journeying around the world and risking everything to preach the gospel to the lost. William Carey certainly earned that reputation. Known as the “founder of modern missions,” Carey gained celebrity status for his travels to the Indian subcontinent. But that isn’t the full story. 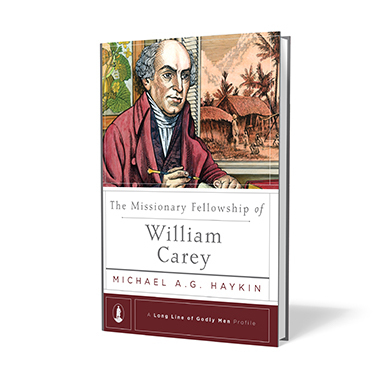 In The Missionary Fellowship of William Carey, Dr. Michael Haykin explores a lesser-known aspect of Carey’s life: the devoted band of brothers who labored with him in ministry. There’s a timeless nature to their stories we still see today. God uses Christian friendship to advance His kingdom whether at home or on the mission field. God’s design for missions is a community effort.